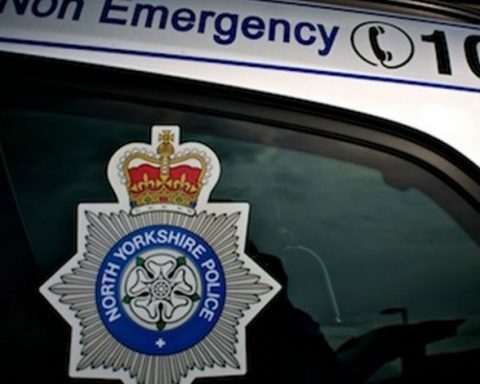 Harrogate-based Richard Grafton Interiors recently completed an unusual commission – helping to refurbish the interior of 48 year old Roxy, an iconic Volkswagen camper van which will take pride of place in the NSPCC garden at the Autumn Flower Show next week. Based in The Ginnel, the interiors business took on the challenge of providing design advice and curtain fabrics for Roxy’s owner, customer and NSPCC volunteer Susanne Guthrie who has spent the last 18 months undertaking a complete restoration of the 1966 vehicle. 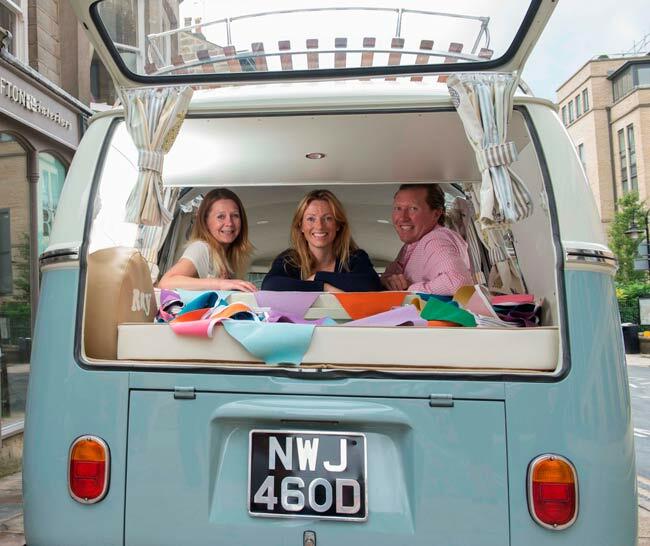 Ampleforth designer Susanne bought the classic camper van in 2008 and has completed its makeover in time for it to star in her debut garden for the national children’s charity at Harrogate Flower Show (12-14 September). Susanne, a volunteer for the NSPCC for over 10 years, has designed a garden called ‘Wishes for Children’ which represents a child’s journey from fear and darkness to safety and hope with Roxy symbolising a safe haven, happiness and freedom. Susanne said: As I’m a regular customer of Richard Grafton Interiors, I knew exactly where to go for expert design advice as I set about restoring Roxy to her former glory. 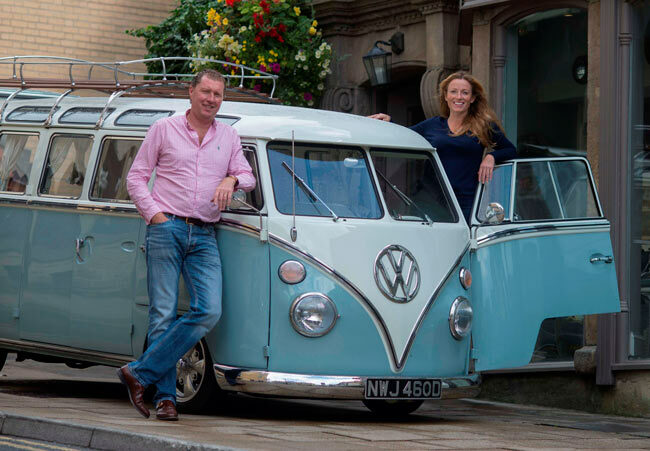 I worked closely with senior designer Kim Robb who is the proud owner of a 1976 VW campervan and as a fellow enthusiast, I knew she would be able to give Roxy the perfect finishing touch. I’m hoping that Roxy’s starring role in the NSPCC’s garden will attract lots of visitors and help convey the message that many children still face abuse and the charity has a vital role in providing help and support. Susanne, a mother of three, studied horticulture at Bishop Burton College and has a Diploma in Plantsmanship from the London Physic Garden, but is better known for designing hats for her North Yorkshire-based millinery business.